Encaustic is an ideal medium for assemblage, mixed media, collage painting. Encaustic wax can both preserve and adhere collage elements to artwork. Ensure that your ground is rigid and absorbent. Encaustic painting on acrylic primed stretched canvas is wrong—don’t do it! Wood or any absorbent panel is ideal. 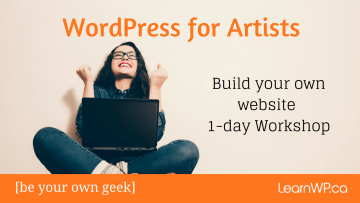 Depending on the work, you may wish to reinforce the support before you begin (particularly important for assemblage or encaustic sculptures). Wax can encapsulate collage materials and that will be sufficient to hold many collage elements in place. But wax is not a glue—if the material is heavy, you will need to use other methods such as glue, nails, screw or wire to securely attach the material to the substrate. When using collage materials make sure the materials are absorbent. Glossy photographs don’t work well, a thick gloss coating can act as a barrier to the wax. Fuse with care. As with all encaustic work each layer needs to be fused to the layer before. When working with collage materials extra precaution should be taken to ensure that the materials do not ignite. Instead of using a blowtorch to fuse, you may want to reach for a gentle embossing heat gun or a stylus with an iron nib. Always use common sense precautions, have a tub of water and a fire extinguisher close at hand. Dry organic materials. Pressed flowers or leaves need to be fully dried, not green. Layering – work the encaustic medium in thin layers. Glazing – thinning pigmented colours with additional encaustic medium will increase translucency for a glazing technique. Embedding – materials such as leaves, pressed flowers, fabric, and paper can be embedded between wax layers. For best results, choose thin objects that can be fully encapsulated in a layer of wax medium. Brush on the wax and then fuse. Subtractive impressions – press an item, such as a leaf or lace, into the wax and then remove it (or part of it) leaving its impression as a ghost image. You can then rub oil paint or pan pastels into the imprint. Dipping – works well for fibre-based, absorbent collage items such as paper or cloth. Try dipping the collage item into a pot of molten wax, then use an iron to flatten and fuse it into your painting. Drawings – add your own sketches to encaustic using tissue paper. The tissue paper will disappear when embedded in wax. Transfers – Photo transfers are wonderful in encaustic collage. Encaustic stylus – Draw with encaustic medium on top of your painting with an encaustic stylus. The stylus iron tip can be useful for fusing delicate collage materials in place. Stencils – on top of collage elements below layers of wax can be used to good effect. What other collage technique have you tried? Please add your comments below, we would love to hear from you. I am interested in encaustic painting.I want details about your project. Do you need to mix together Pure Bees Wax and Damar Resin Crystals to make a clear wax coating? If so what would be the mixture to use? I have always wanted to add encaustic art to my mix media, I’m just now getting the nerve to do and would like to make sure I’m making my wax properly. Is there a way to extract the color from crayons to then mix with encaustic wax? Crayons are made with paraffin wax. Paraffin is too brittle for encaustic, it tends to crack and chip. I recommend using oil paint to add pigment to your encaustic medium. I have experimented with just about everything under the sun with mixed media and encaustic. A few of my favorite things: 1. To print photos on plain paper because it absorbs the wax wonderfully, (but edges like to curl so you have to be ready to use a stylus or tool to flatten them) 2. Use PanPastels for a subtle coloring of layers or as an initial painting on the substrate before wax is applied. 3. Stamp designs using alcohol inks on the substrate or in the layers of wax (surface should be completely cooled). I use an embossing gun with these techniques for slow fusing and control. So many possibilities! Thanks for your addition to the post Cynthia. Your work is beautiful. Neocolors are great with encaustic. Caran D’Ache Neocolors are water soluble wax crayons. You can use them to draw directly on an encaustic painting. As they are water soluble you can simply wipe off any marks you don’t like but once you fuse them to the layer of encaustic medium beneath they will become permanent. * I’ve used an accretion technique to build up a lot of texture. * You can nail, screw or glue wood onto your substrate and then continue to build up. I’m happy that you are finding the blog helpful. color? The shapie ink is not acid free..just regular alcohol markers. Not sure whether or not the stopping the air from contacting the base layer will prevent change? 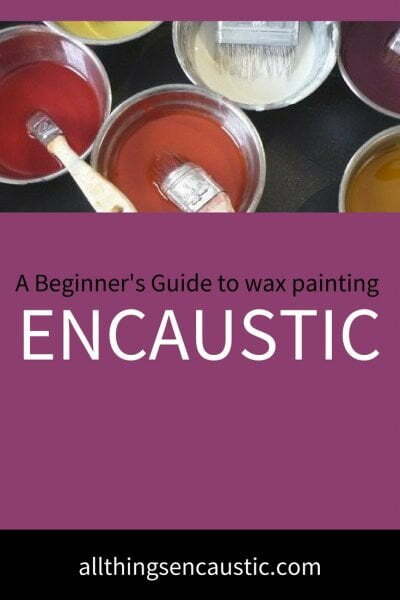 Encaustic is a known preservative. Thanks for your comment, Heather. Hi! Love all the great information here! I am a ceramic artist but have started incorporating encaustic into some of my sculptures and using it on boards I mount my sculptures on. In my larger pieces I screw the sculpture through the wood boards but I am working on a series of small nests with fairly light weight pieces of clay. I’d prefer to put the encaustic down on the whole board first then attach the individual pieces. I want a fairly consistent backdrop on these. I know you say encaustic is not glue, do you think I can I epoxy the small clay pieces to the encaustic? Thanks so much! I haven’t personally tried this but I would scrape the encaustic off just where I want the clay piece and glue it directly to the substrate. can you embed wire into an encaustic painting and how would you do it? You could drill tiny holes in the panel and run wire through to tie on the wire you want to embed. Can you glue an element onto the finished work? I had done a birdcage and attached the bird with encaustic wax, I sent it to a lady and the bird fell off (It was an image that was on thick paper). She wants to reattach the bird. Can she try beeswax? Or would glue work over the encaustic wax? Hi Margaret, “wax is not a glue—if the material is heavy, you will need to use other methods such as glue, nails, screw or wire to securely attach the material to the substrate.” You can’t glue onto the wax and wax itself is not a glue so you need to either scrape away the wax and glue it to the substrate or screw or wire through the panting into the substrate to attach the bird. I’d really like to give encaustic mixed-media art a try. I’ve been reading up on the process and technique, but haven’t found anything as informative as what you’ve shared with us. Thank you for sharing!